Orthogonal, perpendicular, normal, square and right angle, we have many names for the things we love. And right angles are one of the cornerstones of our modern civilization and for good reasons, without them everything would be crocked. It is so basic that even our Euclidian space is defined by it with the help of the Pythagorean theorem. 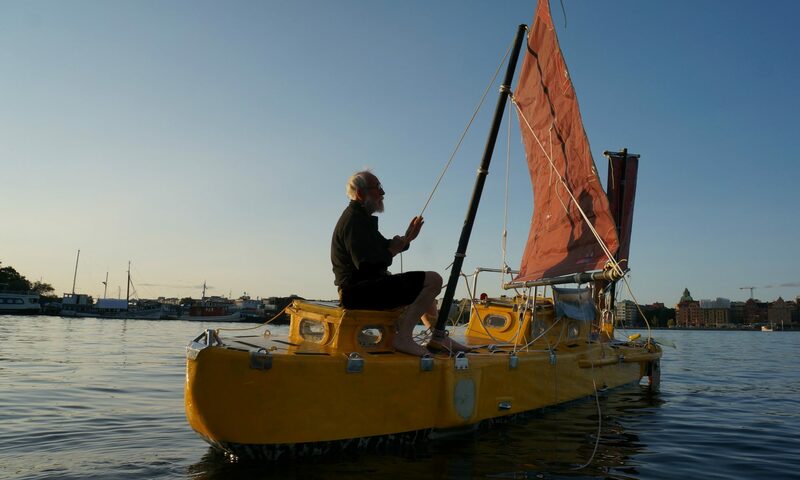 Even boat builders are well served by right angles. But it is not always easy create them. Here is a trick. Use a mirror. 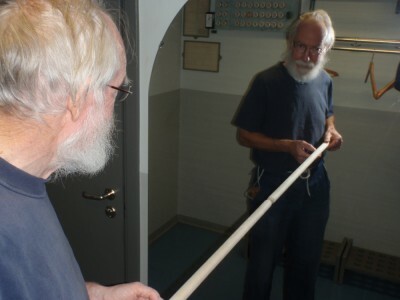 A straight line reflected into a mirror continues as a straight line into the mirror only if it is at right angles to the mirrors surface. The pictures below illustrates the point. 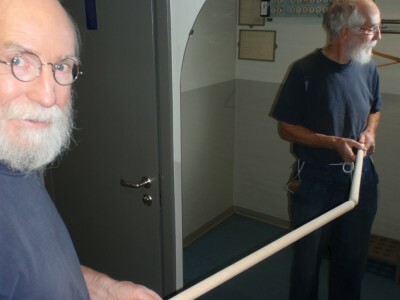 In the picture below the stick is at right angle to the mirror. My boat has a very thick hull, almost 50 mm or 2 inches. Now I like to fit strong points with backingplates, each having five bolts, hence the holes have to be at right angles to the surface. You may have noticed the mirror image of the drill when drilling into shiny surfaces like polished metall, when holding the drill at right angles it looks like a stright line. When it extra difficult I use a mirro with a hole in it to drill a pilot hole as seen in the picture below. 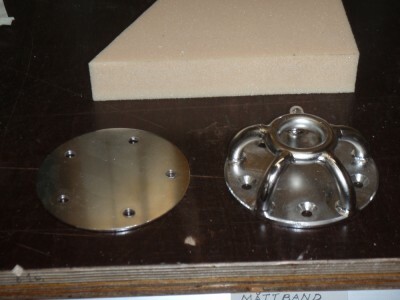 Below is a picture of the fitting and its backing plate. In the background is the 40 mm Divinycell core.